This entry was posted on Friday, October 5th, 2012 at 1:21 pm	and is filed under Color, Landscape, Paintings, Pastels. You can follow any responses to this entry through the RSS 2.0 feed. You can leave a response, or trackback from your own site. It’s wonderful to see you actively hanging your art in different venues. I think that the autumn color pieces would be a good changeover later in the month. Good plan. 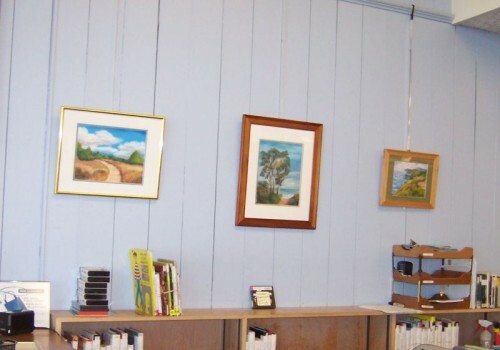 I love that you have spaces to hang your work. Art must be seen!